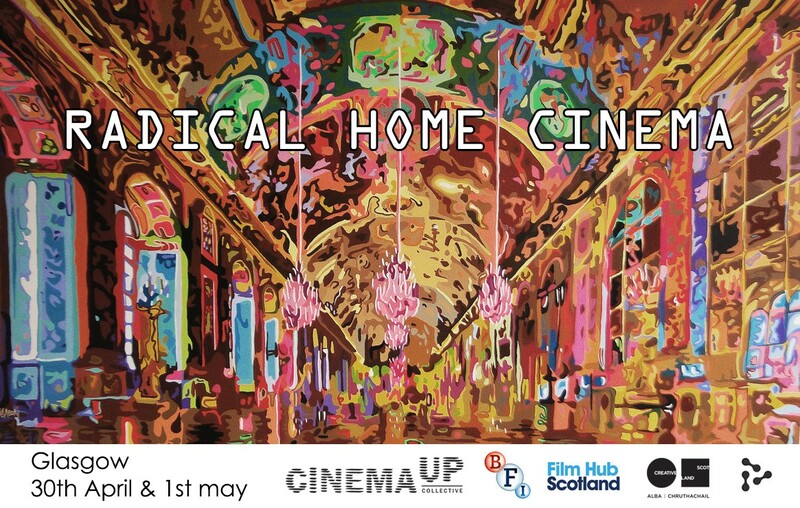 Radical Home Cinema – Radical Home Cinema is an experimental programming and exhibition event where Glasgow personalities and film lovers invite you to watch radical films in their home, studio or garden shed. This event aims to break down the boundaries between public and private audiences, to present films in unexpected places and to turn the viewing experience into something completely new. Radical Home Cinema is a section of Glasgow Radical Film Network Festival. Radical Home Cinema is an experimental programming and exhibition event where Glasgow personalities and film lovers invite you to watch radical films in their home, studio or garden shed. This event aims to break down the boundaries between public and private audiences, to present films in unexpected places and to turn the viewing experience into something completely new. Radical Home Cinema is a section of Glasgow Radical Film Network Festival.